Thirty-one minutes. That’s how long it took Stephen Curry to deliver what Oracle and the basketball world has expected from him since he returned from injury. And there may have been cheers after he nailed his first deep 3, but it may as well have been a giant exhale. 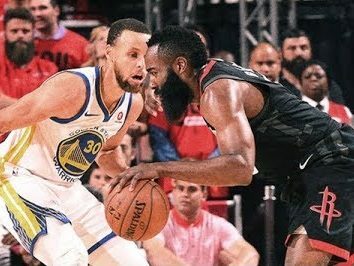 Golden State demolished the Rockets 126-85, and while the Warriors began to pull away with Curry attacking the rim early in the third the onslaught hit a turbo gear when Curry buried his second 3-pointer of the game. With 5:07 remaining in the third, Curry drained a 30-foot 3 and it didn’t just energize him, it rejuvenated him. Two plays later, he got James Harden switched out on him and let out all his pent-up rage from getting targeted on defense and danced on and over him before casting in a step back 3. He didn’t have to use so many moves, Harden was basically left in the dust after a single jab step on any number of occasions Sunday. But Curry needed to use them as each step-back and crossover was more cathartic than the last. 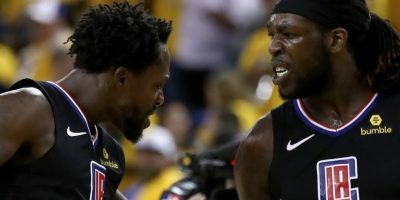 But he wasn’t done releasing his anger, blowing by Trevor Ariza for a layup and a Draymond-esque taunt. He didn’t miss a shot in the third quarter going 7-of-7 from the field with two 3’s and erased any memory of his first-half struggles like a Men in Black agent. His 3-of-11 start turned into a 13-of-23 showcase as he missed just two shots the entire second half. 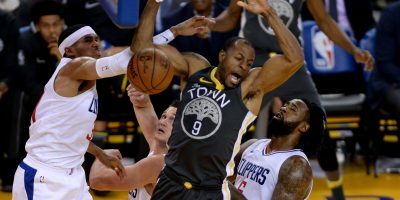 His 35 points was easily his playoff high for the season, and with his point total returned the confidence that had been slowly drained from him with each pick-and-roll isolation he had to defend. It’s crazy to think that the Warriors actually looked better with Curry off the court in the first quarter. When he was subbed out late in the first the team immediately went on a 7-0 run and shut down the Rockets offense, which looked lost without Curry to target. 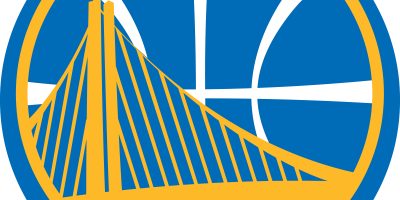 They went scoreless over the last four minutes and the Warriors took control. Kevin Durant kept the team afloat with 15 of his 25 in the first half but mostly got his points via iso, like he has the whole series. Kevon Looney buoyed the defensive end as he stuffed all Rocket driving lanes. He had the best block of his career coming over from the weakside to stone Luc Mbah a Moute at the rim. That was Looney’s highlight play, but he was solid on Harden and Chris Paul on the perimeter as well. Green pulled down 17 rebounds and boxed out every Rocket within arms length of the basket. All that equated to an 11-point Warriors advantage headed into halftime, thanks to everyone not named Curry. Add to that the most dynamic shooter in NBA history finally playing like himself and it’s no surprise it turned into a 41-point humiliation. That’s the Warriors largest margin of victory ever in the postseason. But the team was quick to point out that it wasn’t just Curry going crazy, it was getting stops leading to better offensive opportunities. The Rockets shot 39 percent from the field, while Paul and Harden combined to shoot 12-of-32 from the field and just 4-of-14 from deep. “Then it boils down to manning up and guarding your man. You get on the iso with James Harden, you have to man up and guard him. Houston’s role players who were so pivotal in Game 2 were also rendered useless by a much improved Warriors defense. After scoring a total of 68 points in Game 2, Eric Gordon, P.J. Tucker and Trevor Ariza combined for just 23 in their 100 combined minutes on the court — or just 12 points more than Quinn Cook scored in his five minutes of garbage time. The Curry-less Warriors enabled the team to take control of the game, but the man himself blew it wide open. And he may have done the same for the series. After the long three-day break between Games 2 and 3, the series now moves to an every-other-day format, which gives both teams until Tuesday to make any necessary adjustments. 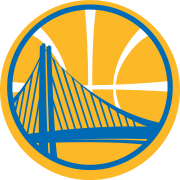 With Thompson’s 13 points he passed Rick Barry for second place in all-time playoff points scored for the Warriors franchise. And speaking of Barry, Curry’s 13 field goals moved him ahead of Barry for the most playoff field goals in franchise history. 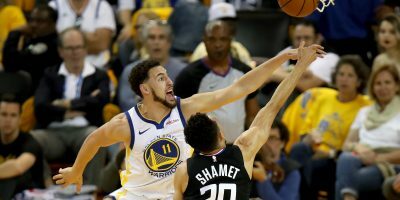 … With their win, the Warriors have now won 16 straight home playoff games dating back to 2016, the most consecutive home playoff wins in NBA history passing the Chicago Bulls from 1990-91.